The Game On Golf Academy offers lessons and programs to accommodate players at every skill level and for all budgets. Our programs are taught by both PGA Certified and industry recognized professionals, all of whom are experts at helping your improve every aspect of your golf game. Our professional instructors offer individual lessons as well as semi-private lessons in 30 or 60 minute sessions. Save money by purchasing a 5 or 10 lesson package. All lessons are given in our private instruction area away from the crowd on the tee line. 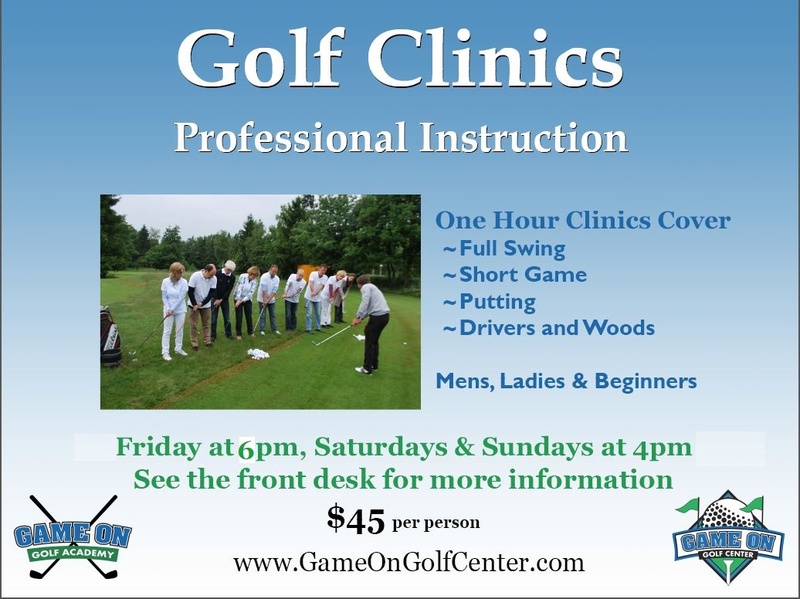 Golf clinics are offered weekly to help you improve in a fun group setting. Check our Event schedule to find the right clinic for you. 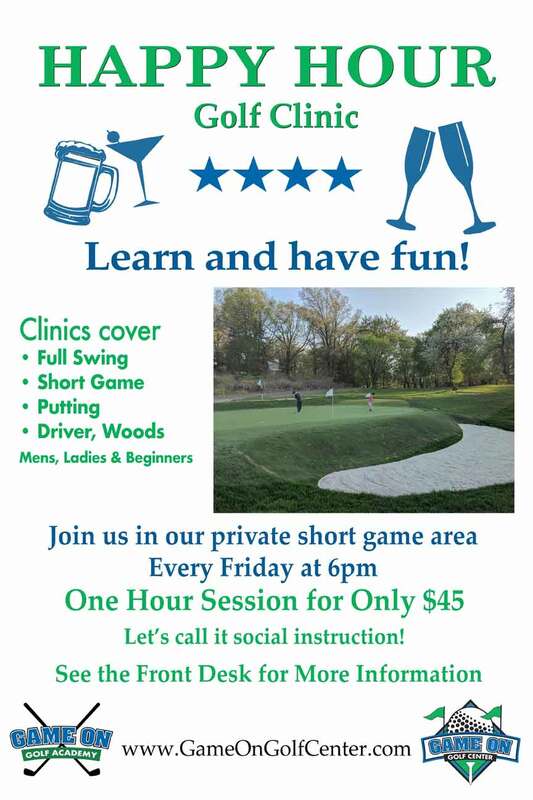 Great for beginners, or to work on specific aspects of your game, clinics offer the opportunity to learn from a professional instructor in a small group setting.